I’ve been trying to contain my brand criticism for years – it’s not an easy task. But after a call today from a father with limited funds that has a quadraplegic son from a dui accident today – I just had to get this one out. He owns a Hot Springs Sovereign and the heater has stopped working. I’ve been rebuilding Hot Springs Heater Relay Boards for years now. They have one inherent flaw – they route too much heater current through the circuit board traces, which causes them to literally blow out – ie, the relay terminals get so hot and they gas up so much inside the relay cavity that they end up exploding the terminals through the circuit board. (This also happens on newer Balboa Instruments designs and Gecko too). I still don’t get it. To this day it makes no sense to me. Circuit designers know darned well that a 5500 watt heater draws somewhere between 22-26 amps, (depending on voltage supply) and early designs of this board utilized relays that were of the 20 amp variety. Perhaps they would rate at 30 amp resistive, and even newer designs should be using 40 amp relays, (over-rating can only help), but the contact rating (nor the method connecting mains power to the board as they claim) has NEVER been the problem! It’s the way the relays are connected to the circuit board, and how the power in and out get there and do their business that matters. It’s not easy to see, but it’s there. Click the image for a full size view. If you were to remove this relay yourself, you’d notice that the top side of the circuit board (under the relay itself), has virtually no solder on it, which limits the current carrying capacity of the circuit board. This is why these boards fail, plain and simple. If the manufacturer were to actually spend a little more money and install these things using ‘Trace Saver’ techniques, these boards would last a heck of a lot longer. This is a typical repaired Hot Springs/Caldera heater circuit board using trace saver wiring to reduce excessive current draw through relay circuit board pins. 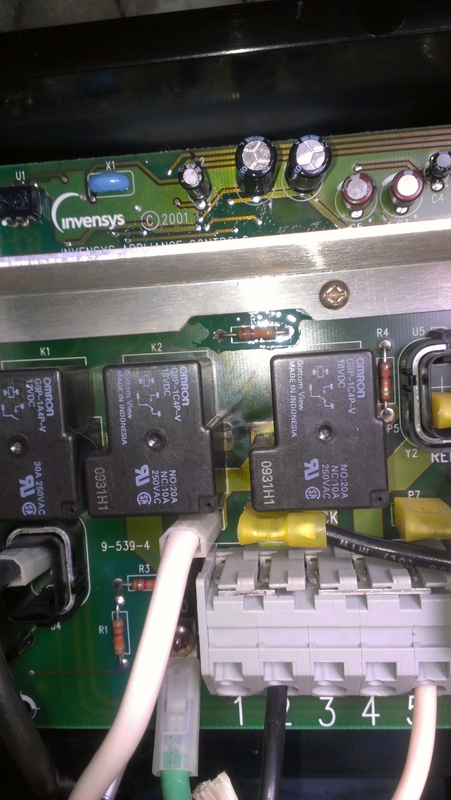 We don’t buy new (defective) heater boards from the manufacturer to install in your spa only to have the same problem repeat itself a few years later…. 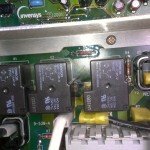 we only install a genuine board re-manufactured by us to the specifications that the relay manufacturers have specified for like… years, and the manufacturers refuse to follow! If you need a lot of current delivery through a relay on a circuit board, then split the path with duplicate circuits using the top terminals, then VENT the relay (which also requires human interaction), and finally watch as time passes… it works year after year. No more blown circuit boards. Just look at Balboa Instruments (prior to the VS-series) and Sundance (850+) circuit boards which use ‘Trace Saver’ designs since the early 90’s. These relays NEVER blow terminals through the board, and seem to last forever. When it comes to high current delivery to a hot tub/spa heater, you definitely get what you pay for. 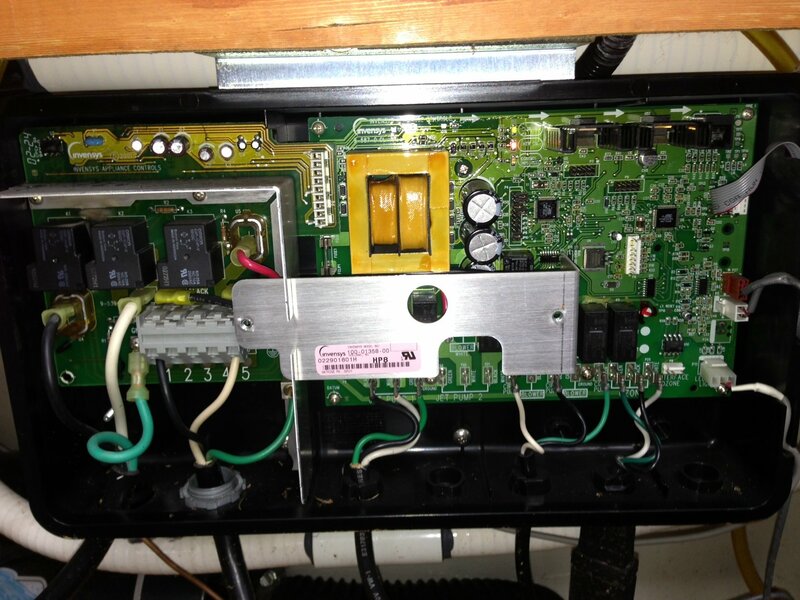 If you find this circuit board replacement online for $115… it’s not worth the ebay ad it’s printed on. 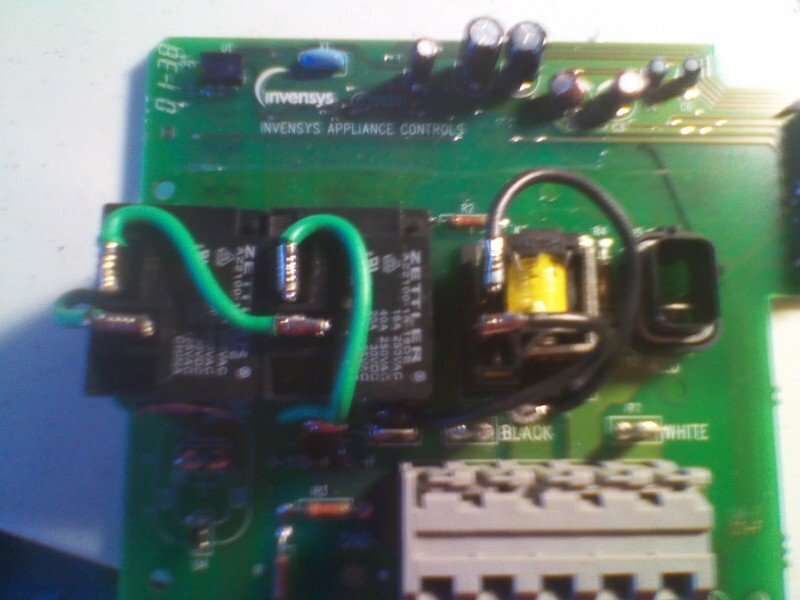 It’s upgraded design provides a more efficient method of connecting the heater’s power cord to this board. The black wire from the heater’s power cord now connects into the H1 position on the large gray terminal block. The heater’s white wire (neutral) connects onto its own separate gray terminal block. This will reduce stress on the relays and increase their lifespan due to better transfer of voltage. The ground wire connection remains the same. This upgraded circuit board replaces the first and second generation boards in the IQ 2020 Control Box found in Caldera, Hot Spring and Tiger River spa models. Somebody please tell these guys they’re still doing it wrong. The power connectors and heater connectors have NEVER been the problem! It’s the relay connections! Anyone with a minimal education in electronics technology will recognize this blather for what it is. If you’re looking for more help or advice regarding your Hot Tub, please call us anytime. We’re here to help.